Flotation '19 is MEI's 9th International Flotation Conference, a series regarded by IMPC Chairman Prof. Cyril O'Connor as 'must attend' events for both flotation researchers and practitioners. He felt that the great value is the provision of an excellent forum for exchange of views among those doing more fundamental research and those from industry who are able to share their successes and challenges with the audience. The value in presenting a paper at Flotation '19 is evident from the many testimonials received from earlier events, and we are now inviting short abstracts for the November conference, which should be submitted by email no later than the end of May. The conference features two discrete symposia, Flotation Fundamentals and Flotation Applications and Practice, and abstracts accepted for oral presentation will require an accompanying draft paper, which will be included in the unrefereed Proceedings, which will be available to delegates at the conference. Draft papers are optional, but strongly preferred, for papers accepted for poster presentation. After discussion at the conference, all authors will be invited to submit final papers to Elsevier for peer-review with a view to publication in Minerals Engineering journal. The papers will also be collated into a Virtual Special Issue (VSI) of the journal on ScienceDirect (see Flotation '17 VSI). As the conference itself is regarded as the first stage of peer-review, VSI papers are in effect 'fast tracked' and the acceptance rate is much higher than with regular journal submissions (see the posting of 13th January for full details on the advantages of submission to a VSI). This year marks the 10th Anniversary of the death of one of the 20th Century's foremost flotation and colloid scientists, Dr. Joseph Kitchener, of Imperial College, UK. We are honoured that Prof. John Ralston, the first Director of Australia's Ian Wark Research Institute at the University of South Australia, who worked under Dr. Kitchener at Imperial College, will present the keynote lecture in the Fundamentals Symposium, which will trace the scientific legacy of a hugely gifted man and show how it underpins a significant amount of modern research in mineral flotation and colloid science. More than a century after its adoption and adaptation as a major mineral separation technology within the mining industry, significant new developments in flotation continue to appear. A number of important contributions have come from Canadians and a selection of these will be highlighted by Dr. Jan Nesset, of NesseTech Consulting Services Inc., Canada, in the keynote lecture in the Applications Symposium. 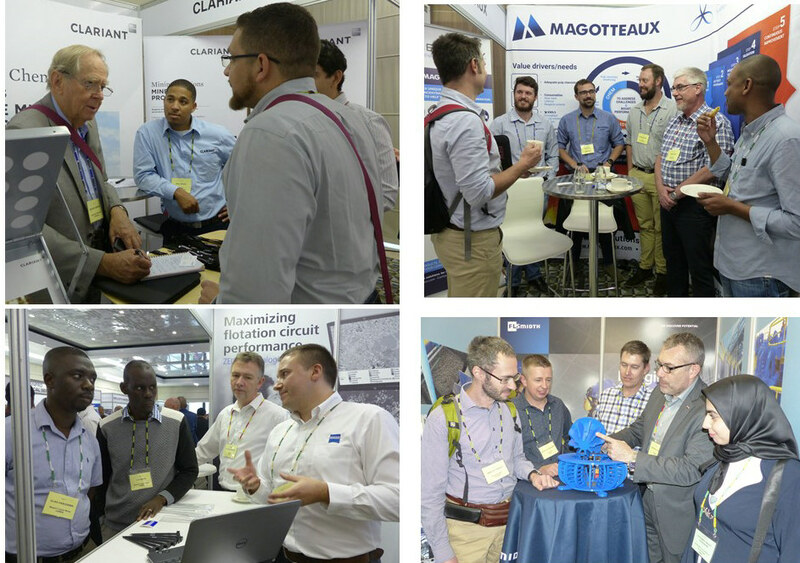 Apart from what I am sure will evolve into another fine technical programme, there is much more to look forward to at Flotation '19, including an associated exhibition, as always held in the main 'networking area' where the conference breaks for coffee and lunch. And there will be more great networking opportunities at the evening sundowners and at the conference dinner at the beautiful Kirstenbosch Botanical Gardens. If you are travelling from overseas to Cape Town it would be a shame to miss out on some of the wonderful things to see in Southern Africa, in South Africa itself, and in neighbouring Namibia, Botswana and Zimbabwe. Make the most of your time in November! Finally a big thanks to the support of our sponsors, who in no small way help us to put on what is now regarded as the world's major flotation event. The latest updates can be found at #Flotation19.